Not only does Call of Duty : Black Ops III have all of its campaign content unlocked from the start, it has content that looks as if it comes from other games unlocked from the start as well. Check out the new multiplayer parkour-flavored “Free Run” mode. Introduced in yesterday’s live stream alongside the new Loyalty Program that grants special perks to special players, “Free Run” is a mode that spawned from a game designer’s desire to understand Black Ops III new movement system. Borrowing a page from Titanfall the latest entry in the series adds vertical movement and wall-running, and in order to get his head around it lead level designer Phil Tasker started creating these strange floating spaces reminiscent of some of Mirror’s Edge’s challenge modes, only not as white. 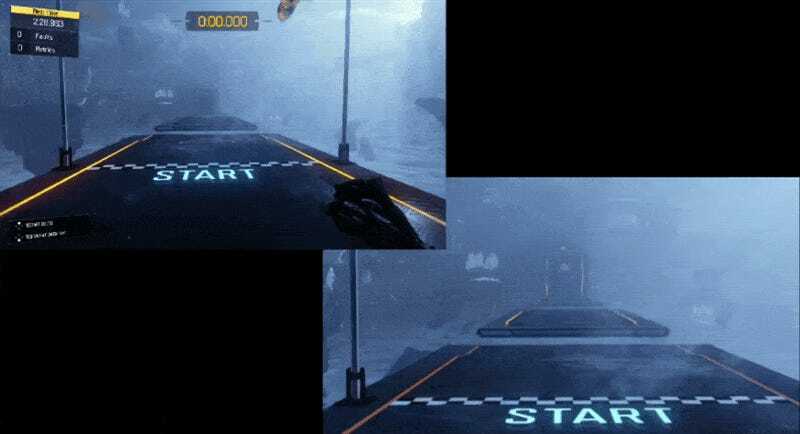 Eventually those spaces evolved into a series of increasingly difficult courses that players will be able to race against each other on when the game drops in November. Check out the video below at around 7:55 for a demo of the mode. I’m up for any new Call of Duty multiplayer mode that doesn’t involve me trying to aim while people kill me over and over again. Perhaps this shall be my place to shine!